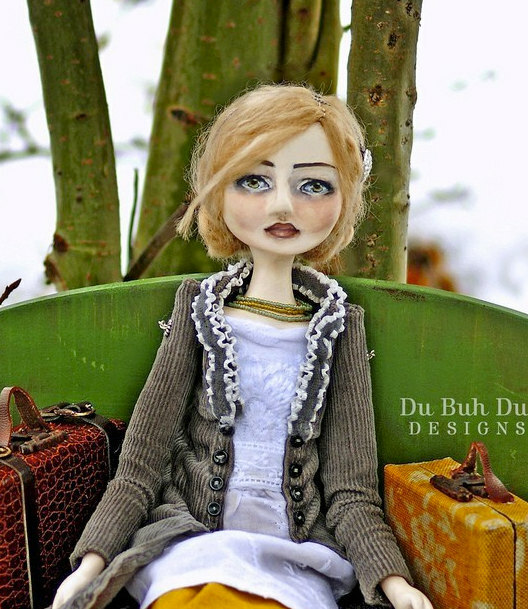 Du Buh Du Designs began after the birth of her son several years ago. The name (pronounced Doo buh Doo) was a term of endearment for him when he was just a newborn and Christine kept the name for her doll business. 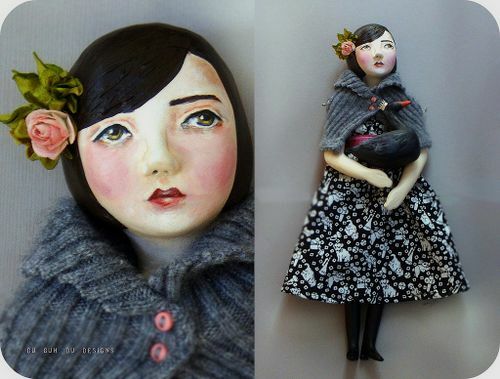 As a child she played with dolls but as an adult didn’t give them much thought until 2005 when she came across a show featuring artist and musician Dame Darcy demonstrating how to make simple articulated clay dolls. 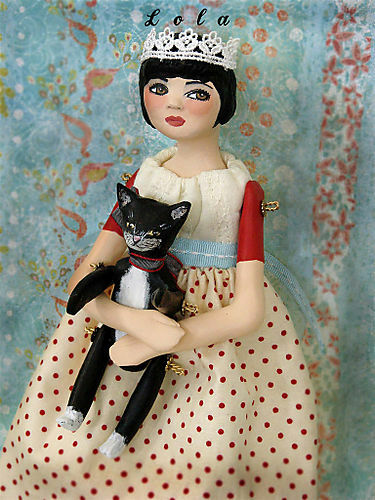 Christine was inspired by her primitive yet modern dolls and created her own dolls using the jointed type doll she demonstrated. 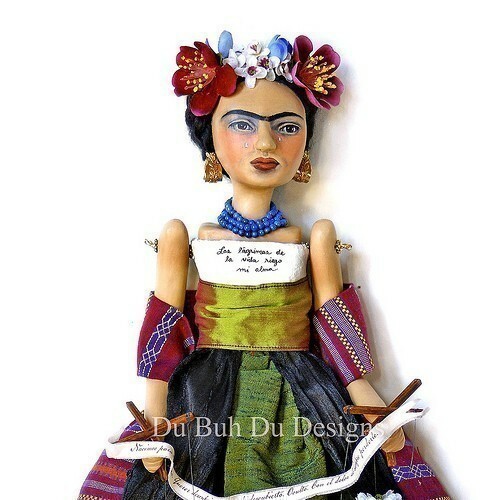 In 2007, Christine began her blog and opened the shop on Etsy showcasing her own “Du Buh Du” style dolls. Her work is in private collections from Australia to France. 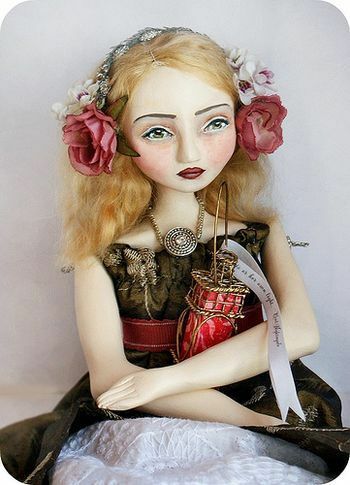 Christine says, “I am intrigued by the idea of a doll as an art form in and of itself; of taking one of the oldest toys/forms and using it as a way to express ideas and emotions. My work is continually evolving and I’m eager to see what direction my work will head next”. They have simple shoulder joints, and some have bent arms. The legs seem to be jointed too, although the leg joints are firm enough to stand, at least when propped against something. 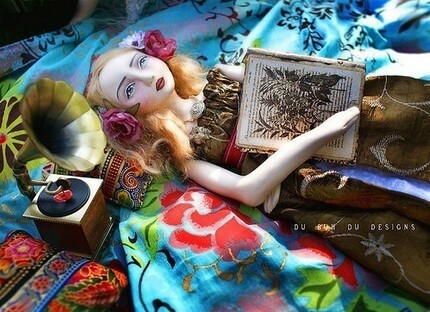 The dolls have costumes that range from simple print dresses to luxurious velvet coats. The costumes are half of the charm of these pieces. 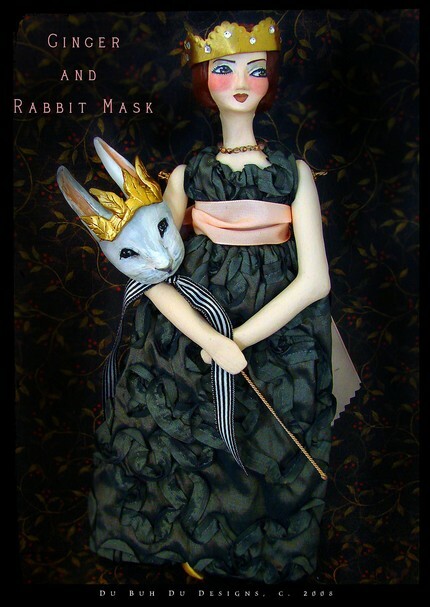 Many of them come with extras, like little cats to hold in their laps, masks that actually fit them, or painted portraits of themselves. And then there are her equally lovely mermaids, which have less costume but more embellishment.